Hello. Today, an exclusive sneak peek at a forthcoming project for this very blog. You may remember the animal alphabet. Some of you may even still be colouring yours in. Final date for submissions is October 31st. Just like for your paper tax return. Same address, as well. Well, the next series is going to be slightly more adult, plus it's already coloured in. And it features people instead of animals. In many ways it is completely different, in fact. Hopefully you will enjoy it. Many of you will get the raging horn in your very pants. This is normal. Long story short, it's serial killers. 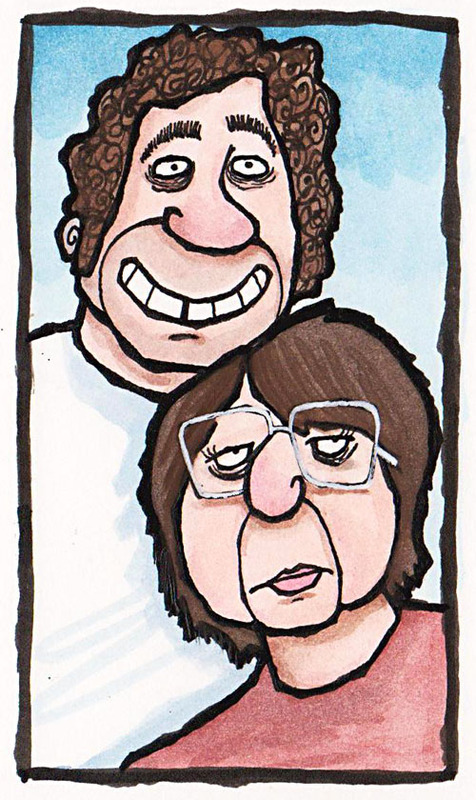 Here's Fred and Rose West to titillate you before clubbing you to death and burying you under the patio.